I write a lot about intelligence on my blog, but it's been a while since I wrote about a "big sister" of academic intelligence - emotional intelligence. So let's talk about emotional intelligence today, because this is something that many otherwise intelligent people often lack or struggle with. 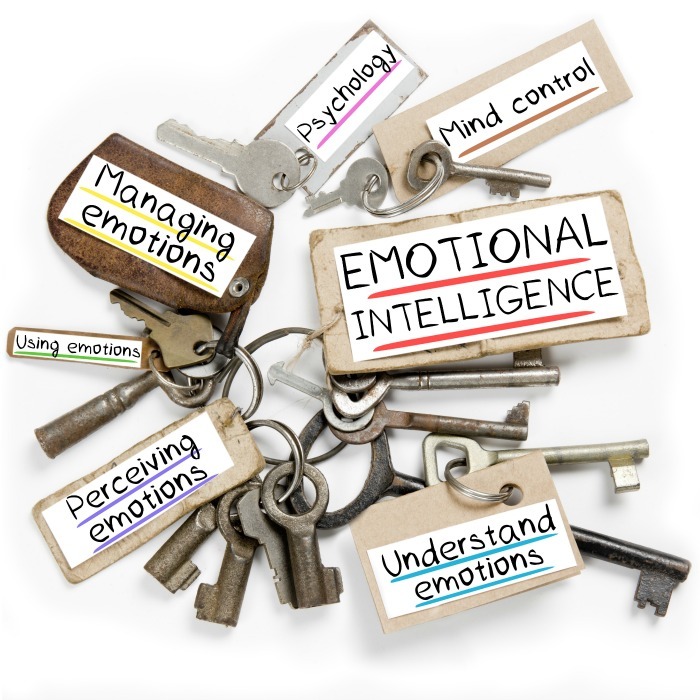 Just like academic intelligence, emotional intelligence is more than just one thing. I think a picture above nails it. Emotional intelligence means, first of all, recognizing emotions in yourself, then learning to "read" emotions in others, and, finally, most importantly, it's ability to manage your own emotions and positively affect emotions of others. Can Emotional Intelligence Be Taught? It's very important to teach kids from early age to recognize and label their feelings. 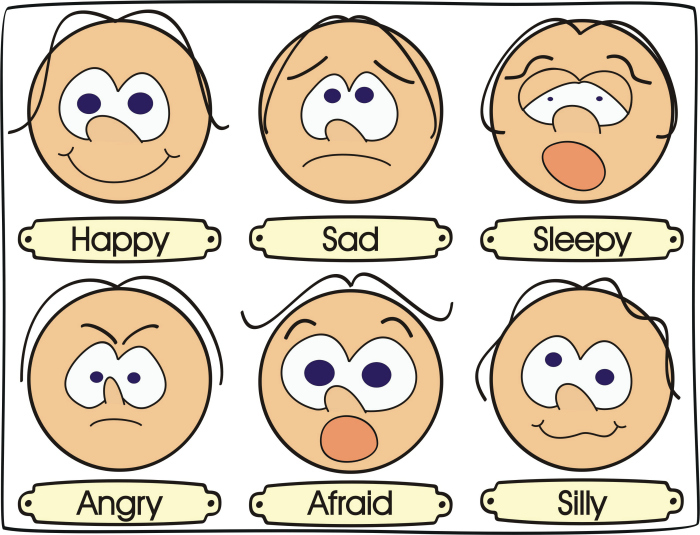 My husband made this "emotions chart" when Smarty was still an infant, and we always tried to acknowledge her feelings. We also read a lot of picture books that explained various emotions and discussed ways of dealing with strong feelings. What we tried to teach Smarty is that while every feeling is OK, there are better ways to deal with them and there are ways, like hitting people or throwing things, that are not productive. We are also teaching Smarty to recognize feelings in others - first of all, by acknowledging our own feelings. We use the phrase, "That hurt my feelings" occasionally when she is saying something inconsiderate. We also ask her to take someone else's perspective when talking through specific scenarios. With all this effort, we feel that Smarty is pretty good in recognizing feelings in herself and others. However,..
Why Is Managing Emotions So Difficult for Kids? Discussing ways to handle strong feelings during calm times and selecting techniques that she finds most helpful. Giving her time to collect herself - sometimes kids are trapped in fight response, because they are not given an option of "flight" - i.e. of excusing themselves from the situation. Introducing meditation and relaxation techniques to deal with anxieties and worries. Having "post-mortem conversations" after some sort of confrontation about how we all could handle similar situations better in the future. I believe that it's important to look at developing emotional intelligence, especially in the area of managing emotions, as a journey with its ups and downs. My husband recently expressed concerns that Smarty appears to be regressing in her ability to manage her emotions, and I had to point out to him that, whether we like it or not, she is entering her adolescent years. As any tween and teen, she will struggle with her emotions, and this is entirely normal. As a parent, I see our task and our challenge in not responding emotionally to her outbursts, but making our home a safe place for her to sort through her feelings. It does not at all mean that "anything goes" in her relationship with us, but, as adults, we need to be able to distance ourselves somewhat from an immediate situation and take a long view of navigating through rough waters of emotionally charged adolescence while helping our daughter develop better mind control and emotional discipline. It's not an easy task, especially when she pushes our buttons, but my husband and I are trying to support our own emotional needs while helping our daughter and keep guiding her on this road to adulthood. 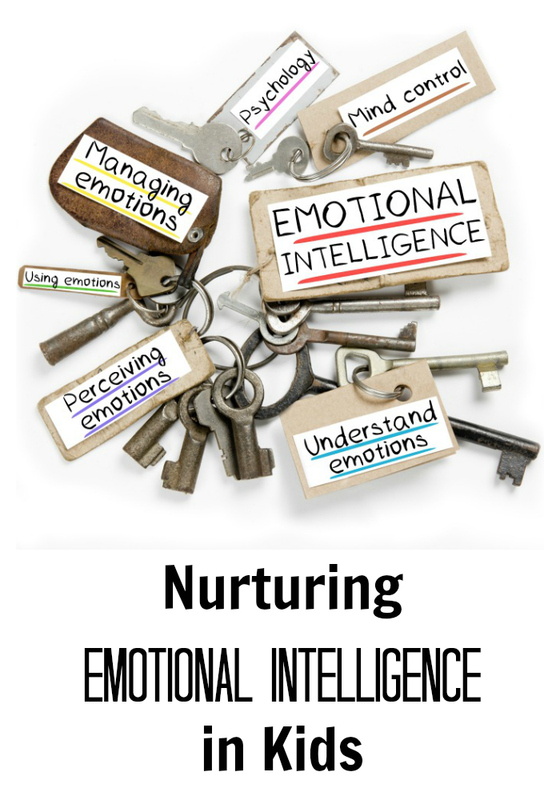 How do you nurture emotional intelligence in your children? Follow my Executive Function Pinterest board. 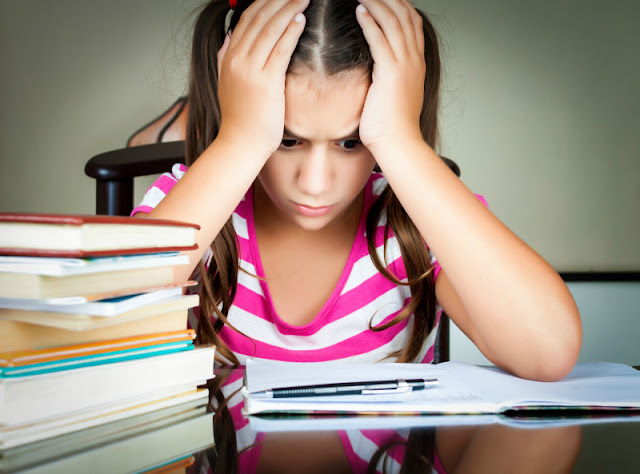 Join other gifted bloggers discussing emotional intelligence for gifted learners by checking out Emotional Intelligence Blog Hop at Hoagies Gifted. Follow Hoagies Gifted on Facebook. Emotional intelligence is a journey... YES! This was a great post, Natalie. I love the feelings chart. Great advice for parents on helping children manage their emotions! That is our conversation right this second in our house. Why Did We Fail Susie? You are welcome to use any ideas from my blog for your own personal use. You may not use my pictures without permission. If you blog about something that you have learned here, I will appreciate linking back to my blog. May the Force be with you!